The ownership and operational right of different services of Nu Stream•Vanfun.com belong to Nu Stream realty. The services provided by Nu Stream •Vanfun.com will be strictly carried out in accordance with its published charter, services term and operational rules. The user completely finishes the registration process, becomes a registered user of Nu Stream •Vanfun.com, receives a password and account, and this agreement will take effect immediately. The user is obliged to keep safety of the password and account, and take fully responsibility of all activities carried out using the password and account; therefore, if any loss or damage derived from it, it is unlikely for Nu Stream •Vanfun.com to assume any responsibility. Nu Stream•Vanfun.com uses its own operating system to provide network services to users via the Internet. (1)Self-configured equipment is required for Internet access, including personal computers, modems or other necessary Internet access devices; (2)Telephone and network expenses related to this service will be pay by the individual. (2)Maintain and update your personal user information to ensure that it is true, correct, updated and complete. If you provide any error, false, outdated or incomplete information and know it for Vanfun.com, or Vanfun.com has reasonable grounds to suspect that the above information is wrong, false, outdated or incomplete, Nu Stream•Vanfun.com reserves the right to suspend or terminate your account and refuses to use all or part of the services of Vanfun.com in the present and future. (3)The registration information you provided must not misuse other people's information or infringe the legal rights of others. Nu Stream•Vanfun.com has the right to suspend or terminate the account and has the right to pursue the legal responsibility of the responsible person. (4)The username you registered cannot infringe the legal rights of others and may not infringe on the reputation of others. Vanfun.com has the right to withdraw the account that is suspected of infringement of the legal Vanfun.com or other people's legitimate rights and interests. (6)According to the relevant provisions of this article or the necessary circumstances considered by Nu Stream • Vanfun.com. Nu Stream • Vanfun.com may cooperate with third parties to provide related network services to users. In this case, if the third party agrees to assume the same responsibility as Nu Stream • Vanfun.com to protect user privacy, Nu Stream • Vanfun.com has the right to provide the user's registration information to third parties under the supervision of Nu Stream • Vanfun.com. Under the premise of not revealing the privacy information of individual users, Nu Stream • Vanfun.com has the right to analyze the entire user database and make commercial use of the user database. In order to provide better services to users, the users understand and agree that Nu Stream • Vanfun.com will collect and integrate users' personal information when users voluntarily choose services or provide information. In addition, Nu Stream • Vanfun.com will take the industrial practical measures to protect the security of user information, but Nu Stream • Vanfun.com can not be sure or guarantee the security of any personal information, users must bear the risk by themselves. For example, when user publishes personal information that can be accessed by the public, the user may receive information without the user's consent; the partners of Nu Stream • Vanfun.com and third-party Internet sites and services that can be accessed through the Nu Stream • Vanfun.com; third parties who know the user's personal information through lottery, promotion, etc. will conduct independent data collection and other activities. Nu Stream • Vanfun.com is not liable for the above actions of users and any other third parties. Nu Stream • Vanfun.com is not liable for the deletion or storage failure of information posted by users. Vanfun.com does not promise to keep the user's stored information indefinitely. Unless otherwise specified in this agreement, Nu Stream• Vanfun.com do not guarantee that the service will meet the user's requirements, nor will it guarantee that the service will not be interrupted, punctuality, security and accuracy of the service will not be guaranteed. Nu Stream • Vanfun.com has right to judge whether the user's behavior is in line with the requirement and spirit of terms of service for Nu Stream • Vanfun.com . If the user violates the provisions for terms of the service, Nu Stream • Vanfun.com has right to interrupt network service. Nu Stream• Vanfun.com uses its own operating system to provide users with variety of online resources via the Internet, including various information tools, online forums, and personalized content. Unless otherwise expressly stated, any new features including new products, and columns that enhance or strengthen the current service are unconditionally applicable to this terms of service. Nu Stream• Vanfun.com reserves the right to amend the terms of service as necessary. One the change occurs in the terms of service for Nu Stream • Vanfun.com, the amended content will be prompted on the important page. If the changed content is not agreed, the user can actively cancel the obtained network service. If the user continues to enjoy network service, it is deemed to be subject to changes in the terms of service. Nu Stream • Vanfun.com reserves the right to modify or discontinue the service at any time without knowing the rights of the user. Nu Stream• Vanfun.com has the right to modify or discontinue services without taking responsibility of users or third parties. Users bear the risk of using network services. Nu Stream • Vanfun.com does not make any type of guarantee, whether explicit or implied, but does not limit commercial implied warranties, specific purposes and appropriate warranties not to violate the regulations. Nu Stream • Vanfun.com is not liable for any direct, indirect, incidental, special or consequential damages that may arise from improper use of online services, purchase of online goods or the same type of services, and online transactions. Information that is illegally used by web services or transmitted by users has been changed. (1)Stop using the network service of Nu Stream • Vanfun.com; (2)Make an announcement to Nu Stream • Vanfun.com for termination of user’s service. After the termination of user’s service, the user's right to use the network service is immediately suspended. Since then, users have no right and Nu Stream • Vanfun.com is not obliged to transmit any unprocessed or unfinished services to users or third parties. The user is solely responsible for the posted content. 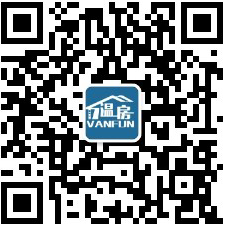 Use of service for user is based on all national, local and international legal standards applicable to Vanfun.com. (4)Comply with all network protocols, regulations, procedures, and practices that use network services. (5)The user's password and account are subject to unauthorized use or any other security issues, the user can immediately notify Nu Stream • Vanfun.com , and the user should end the account usage at the end of each connection, otherwise the user may not have security and protection from Nu Stream • Vanfun.com. 1)Uploading, posting, sending or transmitting any illegal, reactionary, obscene, vulgar, defamatory, coercive, harassing, vilifying, defamatory, infringing on the privacy of others or defaming others' reputation or goodwill, racial discrimination, harm to minors or other inappropriate information or emails, including but not limited to information, materials, text, software, music, photos, graphics, information or other materials (hereinafter referred to as the content). 3)Impersonate any person or institution, or falsely or untruly believe that it is related to anyone or any institution. 4)Forging a title or otherwise manipulating the identification data, making people mistakenly think that the content is transmitted by Nu Stream • Vanfun.com. 5)Uploading, posting, Sending email or otherwise transferring content that is not authorized to be transmitted (eg internal data, confidential information). 6)Uploading, posting, sending email or otherwise transferring content that infringes any person's patents, trademarks, copyrights, trade secrets or other proprietary rights. 7)Uploading, posting, sending email or otherwise transferring advertising messages, promotional materials, “spam”, etc. except for the area specially posting advertisements by Nu Stream • Vanfun.com. 8)Uploading, posting, sending email or otherwise transferring information about software viruses or other computer code, files and programs that interfere with, disrupt or limit the functionality of any computer software, hardware or communication device. 9)Interfering with or disrupting the Service or the servers and networks connected to the Service, or failing to comply with the provisions of this Service Agreement. 10)Deliberate or unintentional violation of any relevant Chinese laws, regulations, rules, regulations and other legally effective norms. 11)Follow or otherwise harass others. 12)Others are considered to be inappropriate behaviours by Nu Stream • Vanfun.com. In addition, users are fully liable for the content uploaded, posted, emailed or transmitted by the Service; Nu Stream • Vanfun.com. does not guarantee the correctness, completeness or quality of the content as mentioned above. Users may be exposed to unpleasant, inappropriate or disgusting content when accepting this service. In no event shall Nu Stream • Vanfun.com be responsible for any content, including but not limited to any errors or omissions in any content and any loss or damage arising therefrom. Nu Stream • Vanfun.com has the right (but not the obligation) to refuse or remove any content provided through the Service. Users use the above content at their own risk. (4)To protect rights, property and personal safety of Nu Stream • Vanfun.com, its users and general public. If a network user uses the network to infringe the civil rights and interests of others, the user shall bear the obligation of infringement. If the network user uses the network service to commit the infringement, Nu Stream•Vanfun.com has right to take measures such removal, screening and interruption of the link when the infringe informs Nu Stream•Vanfun.com in writing about the new infringement and provides relevant evidence and necessary measures to prevent the expansion of infringement results. Users add promotional materials or participate in advertising planning in their own published information, present their products on the Nu Stream•Vanfun.com service, any such promotional methods including shipping goods, payments, services, business conditions, guarantees and the descriptions related to the advertisements only occur between the corresponding users and the advertising agencies. Bohu Information Technology Co., Ltd. does not assume any responsibility, and Vanfun.com is not obliged to take any part of the responsibility for such advertising sales. Meanwhile, if the behaviour is not approved by Vanfun.com or the infringing interests of Vanfun.com, Nu Stream•Vanfun.com has the right to delete, block, and use appropriate technical and legal means to prevent the release of such information. “Public use area”includes online forums, message boards, comment areas and other online content areas that can be used by the general public; once users post content in the public use area of the service, they are deemed to grant Nu Stream•Vanfun.com to users with free of charge and non-exclusive license rights, Nu Stream•Vanfun.com reserves the right to copy, modify and publish the above content for the purpose of displaying, disseminating and promoting the content posted above. The loss or profit arising from the display, dissemination and promotion of this activity is borne or enjoyed by Nu Stream•Vanfun.com. Nu Stream•Vanfun.com has the right to decide whether to give such users encouragement or reward. The user is fully responsible for any damages or losses led by any third party claiming or resulting from the above posting by the user. 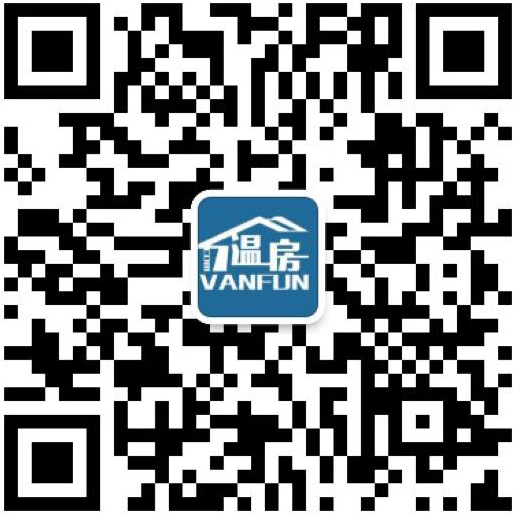 Other visitors or enterprises or organizations may not copy, sell or use other contents of the service in other places for the purpose of copying, selling or other commercial purposes without the authorization of Vanfun.com. The fault leads the user to receive the wrong information and pay the information fee that should not be paid. The full responsibility of Nu Stream•Vanfun.com is limited to the compensation for the information paid by the user for the wrong information. This service may provide links to other international internet sites or resources. Regarding whether the aforementioned websites or resources are available, Nu Stream•Vanfun.com does not make guarantee. Nu Stream•Vanfun.com is not liable for any loss or damage arising from the use or reliance on the above websites or resources. The information and content transmitted by the Service are protected by copyright law, trademark law, patent law or other laws; without the authorization of Nu Stream•Vanfun.com, the user may not modify, rent, distribute or derivative other works except for content that the user created and posted in public use areas. The user has non-exclusive right to use the software in the Service, but may not, or permit, any third party to copy, modify, sell or derivative product. The design and drawings of Nu Stream•Vanfun.com, and other drawings, products as well as service name of Nu Stream•Vanfun.com are trademarks owned by Vanfun.com, without any prior written authorization from Vanfun.com. Any persons may not use, copy or otherwise use them. Nu Stream•Vanfun.com does not represent or warrant the correctness or reliability of any content, information or advertisements contained in the Service or obtained by or through the user in connection with the Service; and regarding any products, information or materials purchased and acquired by user on advertisement and display of the Service, Nu Stream•Vanfun.com does not guarantee responsibility. The user is solely borne for risk for the use of the Service. (1)Nu Stream•Vanfun.com has the right, but not the obligation to improve or correct any omissions or errors in any part of the Service. 9)Other matters related to this service. (3)Users should judge the use of search directory of Nu Stream•Vanfun.com when browsing international network. This search directory may lead users to sites that are considered offensive or inappropriate, and Nu Stream•Vanfun.com is not obligated to view the content of the sites listed in the search directory, so its correctness, legality, and legitimacy are not taken any responsibility. 3)Various products or services that Nu Stream•Vanfun.com offers to premium network service users. 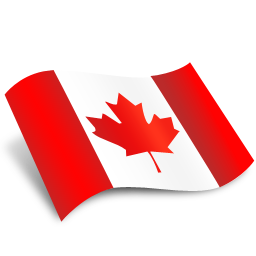 Depending on the principle of the country of the user, the terms of the network service should be consistent with the legal interpretation of the People's Republic of China or Canada, and users and Nu Stream•Vanfun.com agrees to submit to the jurisdiction of the relevant institution of the country of origin. In the event, the terms of service for Nu Stream•Vanfun.com are inconsistent with the laws of the country of origin, these terms will be completely re-interpreted in accordance with the provisions of the law, while other terms will still have legal effect and influence on users. In any case, the user of N Nu Stream•Vanfun.com shall not make use of Nu Stream•Vanfun.com to make statements or actions that violate or may violate national laws and regulations. Otherwise, Vanfun.com can terminate to provide service for you at any time without prior notice . And also the user is responsible for his or her speech or behaviour.